How to control the rise of BP during anxiety? Is tablet Concor advisable? iCliniq › Ask a doctor online › Answers › Cardiology › Concor › How to control the rise of BP during anxiety? Is tablet Concor advisable? Q. How to control the rise of BP during anxiety? Is tablet Concor advisable? Answered by Dr. Anoop Mathew and medically reviewed by iCliniq medical review team. I am suffering from high blood pressure for the last three years. During discomfort, the reading comes around 140-148/90-98 mmHg. In normal times, it is 120/80 mmHg. Presently, I have been taking Cilacar 10 in the morning after breakfast and Ecosprin AV 75 at night as suggested by my doctor. I am taking Cilacar since nine months and started Ecosprin just five to six months back. Earlier, I was taking Telma 40. But, my high BP has not cured fully. Sometimes, particularly in the evening due to the anxiety I feel some discomfort and uneasiness in the left chest. But, I do not have any pain. I am getting sleep only after some struggle for an hour or two. But after deep sleep, I feel relieved. My blood sugar level, lipid profile and last ECG report were fine. My doctor did not advise for echo or any further test. I have attached my latest blood report. I do not smoke and drink. But, inactive lifestyle due to sitting in front of a computer for hours. Please suggest some alternate or additional medicine to cure my hypertension and anxiety. Thank you. • What is the right time to exercise? • Will CMV or herpes infection before or after birth affect pregnancy or child? • How should I control my BP in winter? 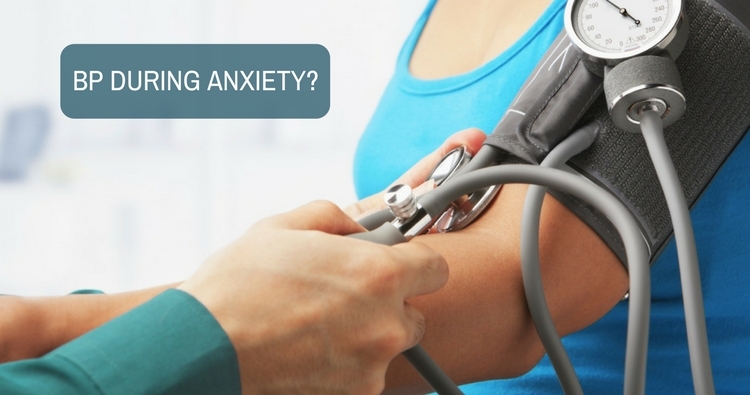 You have hypertension (high blood pressure), which is out of control occasionally during episodes of anxiety. The baseline BP control is fine. I would suggest adding a new medicine, tablet Concor 2.5 mg (Bisoprolol) once daily at 8 AM. Consult your specialist doctor, discuss with him or her and take the medicine with consent. Bisoprolol will help in controlling the rise of blood pressure during episodes of emotional stress and physical exertion. You may continue the Cilacar (Cilnidipine) and Ecosprin AV (Aspirin). Both are good tablets. Also, your lipid level is acceptable. Going ahead, I would like you to understand why we are trying to control your BP optimally. It is to prevent silent organ damage. Some of these drugs that you are taking, including Cilacar and Concor are excellent in preventing kidney disease and stroke. Let me encourage you to develop a more healthy lifestyle. One practical suggestion would be to join a good gym and have a trainer. You should start with elliptical trainer and treadmill. You need to change your sedentary lifestyle and that in turn will help you to decrease the number of medicines. Also, having a personal trainer will help you to have a sustainable activity program. I am very much pleased for your kind and life saving advice. I have got the additional medicine from my doctor as suggested by you that is Concor Cor 2.5. I did not get Corcor 2.5. Is that fine? Also, I have a few more queries. As I usually take breakfast after 10 AM, can I take Concor before breakfast? Is it fine to take Concor and Cilacar both in the morning, one before breakfast and the other after breakfast? Yes, Concor Cor is same as Concor. It is just a brand name for the low dose formulation. Yes, you can take Concor Cor before food. Concor Cor does not have much interaction with food, hence you may take it with or without food. Try to take it at a fixed time every day as the action lasts for a fixed 24 hours only. It may take a few weeks before the full action of the drugs takes effect. Cilacar also can be taken before or after food. Yes, that is perfectly fine to take both Cilacar and Concor in the morning. But, keep the same time every day as far as possible. You do have the option of home monitoring of BP also, with some good electronic BP apparatus. Just make sure it is an arm cuffed apparatus rather than a wrist cuffed one. Today, I have taken Concor 2.5 at 9 AM and my regular tablet Cilacar 10 at 10.30 AM. At 12 PM suddenly I felt lightheaded and dizzy. So, I took my BP reading at 12.30 PM and it was 106/67 mmHg. In the last three years, I have never seen such low reading for me. I took some salty food to counter to restore normality. But, the hangover was for a whole day. I took some rest by sleeping and somehow managed. At 8.30 PM today, again, I took my BP reading twice and it came around 130/84 mmHg and 126/79 mmHg. No other complication, but it was like a hangover and lightheadedness. Is this normal? What would you suggest to overcome this issue? Should I take 1/2 tablet of Concor 2.5 or change the Cilacar time to 9 PM? It is likely that you had a low BP level, which your body is not used to. So, the best thing to do is to come down on the Cilacar to 5 mg and shift the Cilacar to evening time 9 PM. Concor COR 2.5 mg is already a very low dose. If still your BP is low, then we may be able to stop Cilacar completely. Consult your specialist doctor, discuss with him or her and alter the dosage accordingly. You may continue monitoring the BP to see if there are any more hypotension or low BP episodes. The best way to monitor BP is to check it at home when you are relaxed. Levels of home BP of less than 135 mmHg systolic and 85 mmHg diastolic are usually considered normal. Though there are many drugs that cause a severe first dose hypotension effect, Bisoprolol is usually not considered to have such an effect. I would like to share my condition with the medicine and dose you suggested. Day 1 - Concor 2.5 and Cilacar 10 in morning, feeling severe dizziness.Day 2 - Concor 2.5 only in the morning, last day hangover was continued and could only feel better after evening. Cilacar 5 mg taken at 9 pm. But anxious before gone to deep sleep.Day 3 - Morning feeling better. BP recorded 120/79 pulse 65 at 8.55 am. Concor 2.5 taken at 9 am. Started to feel mild dizziness at 12 pm. BP recorded to 114/75 pulse 62 at 12.50 pm. Even mild dizziness or lightheadedness is making me uncomfortable to concentrate on my work that is sitting in front of the computer. Tiredness feeling in eyes. One positive thing which I felt with this medicine is no pressure in the chest during anxiety or anxiousness, which was my main concern. My BP elevates during anxiety only. Would you like to suggest some other way to take this medicine like half of the Concor 2.5 and Cilacar 5 mg in the morning and Cilacar 5 mg in the evening or any other way? We will try changing the timing of the medicines. Shift Cilacar 5 mg to morning and Concor 2.5 mg at 9 pm. In that way, you will not feel any tiredness during the day. Since the BP levels are optimal, I do not think the fatigue is due to the medicines. Have you started some physical activity yet? Like walking at least for some time a day will make you less tired. What could be the reason for right-sided anterior pelvic tilt?